Last week was the filing deadline for citizens initiatives. Only three measures made the final cut. There is still a chance that one or more initiatives might face a legal challenge before finally qualifying for the ballot in November. 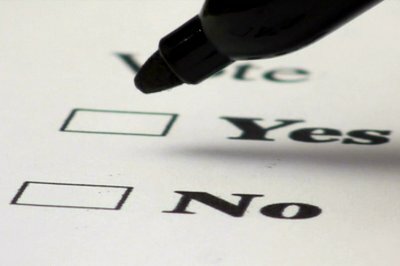 The Last day to file arguments for or against ballot measures (General Election) is July 13, so you had better get on it. There is still the Stop Corruption Now referendum (“citizens veto”) of SB 1516, the “dark money on steroids bill” out circulating petitions. The filing deadline for the referendum is August 5th. Summary: The Regulation and Taxation of Marijuana Act: (1) establishes a 15% tax on retail marijuana sales, from which the revenue will be allocated to public health and education; (2) allows adults twenty-one years of age and older to possess and to privately consume and grow limited amounts of marijuana; (3) creates a system in which licensed businesses can produce and sell marijuana; (4) establishes a Department of Marijuana Licenses and Control to regulate the cultivation, manufacturing, testing, transportation, and sale of marijuana; and (5) provides local governments with the authority to regulate and limit marijuana businesses. Summary: The Fair Wages and Healthy Families Initiative increases minimum wage to $10 in 2017 then gradually to $12 by 2020; provides 40 hours annual “earned paid sick time” for employees of large employers (24 hours for those of small employers); time accrues at one hour earned for every 30 hours worked; time may be used to address circumstances caused by illness of employee or employee’s family, public health emergencies, or domestic violence; prohibits retaliating against employees using the benefit; allows for more generous paid time-off policies; and exempts employees who expressly waive the benefit under collective bargaining agreements. The initiative would reverse our lawless Tea-Publican Legislature’s attempt to amend the Arizona Minimum Wage Act, Prop. 202 (2006), by redefining the meaning of “wages and compensation,” and attempting to preempt local jurisdictions from enacting employee benefits like “earned paid sick time.” The ballot measure will be opposed by the usual suspects, The Arizona Chamber of Commerce and Industry, the Arizona Restaurant Association, and the Low Wages Party (Tea-Publicans). Summary: Limits total annual compensation paid to executives, administrators, and managers of hospitals, hospital groups, and affiliated medical entities, whether operated for profit or not for profit, to the annual compensation of the President of the United States (currently $450,000). Similarly limits severance pay for hospital executives, administrators, and managers. Defines compensation to include wages, bonuses, retirement benefits, club memberships, loans, housing, transportation, life insurance and deferred compensation. Requires public disclosure of compensation exceeding these limits. Provides for enforcement by Attorney General or persons acting on behalf of themselves, their members, or the general public. I fail to see any logical nexus to tying hospital executive pay to what the President of the United States gets paid. I also fail to see the efficacy of this measure in controlling medical costs in general, and hospital costs in particular. Rising medical costs are due largely to profit motive to satisfy dividends to investors, not compensation of executives. And by singling out a particular industry and class of individuals, it is likely unconstitutional under equal protection analysis. Even if voters pass it, I don’t see this measure surviving a legal challenge. The two competing “dark money” citizens initiatives did not make the cut, the Open and Honest Disclosure Amendment from former Attorney General Terry Goddard and VPA, and the Arizona Clean and Accountable Elections Act from the Arizona Advocacy Network. This demonstrates the importance of (a) working together and (b) starting early. Pro tip: perfect this dark money measure and have it ready to file in January 2017 for the 2018 ballot, and start collecting signatures immediately. It’s going to be needed if we are still saddled with a Tea-Publican legislature, because Tea-Publicans will do everything in their power to remove any and all regulations from campaign finances. Clean Elections Reform Act, to gut the financing of clean elections and require the Clean Elections Commission to follow the Arizona Administrative Procedure Act. Open and Honest Elections Amendment aka “top two primary” or “jungle Primary” measure. Arizona Values Education Amendment, to amend the Arizona constitution to affirm Arizona’s promises to its public school students, our clear intent and dedication, to faithfully deliver public education that is effective, efficient, transparent, funded, fair, and safe, through clear legislative guidance and voting thresholds, as are commensurate with tax increases. Save Arizona’s Students and Public Universities Act, to (1) cap resident undergraduate tuition to the “cost of living” at Arizona’s three state universities; (2) locks-in undergraduate tuition rates for all students for their first four years of study; and (3) protects public university funding by ensuring either: (a) state funding for Arizona’s three universities does not go below the 2015 per-student level after adjusting for inflation; or (b) a 2% corporate surcharge is triggered to further support university and scholarship funding. 5 To 9 Initiative to expand the Arizona Independent Redistricting Commission from 5 to 9 members, written in such a way as to personally benefit Doug Quelland. Prop 13 Arizona, a measure to bring California’s destructive Prop. 13 to Arizona. Save the Puppies and Kittens! Finally, there were the dueling solar energy measures that were withdrawn when the parties compromised. Rooftop solar cease-fire takes ballot measures off table for now. Next articleThe Trump con: if elected I will not serve?